Mercy Ministries News: Celebrating the Birth of Twins – A Double Blessing!! Celebrating the Birth of Twins – A Double Blessing!! We just wanted to let our supporters know that a set of twins was born to one of our Mercy residents this past Saturday evening. Thank you for your support that is literally saving lives. Our theme for the immediate future is a season of doubling because of all the girls that are on our waiting list. So in this season of doubling, we are rejoicing for the double blessing of these 2 beautiful babies. Your support is saving and changing lives every day, and we thank God for you!! 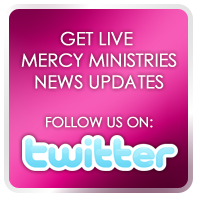 To help in this season of doubling, visit www.doublemercy.com.